This unique barcode is known as a QR code, which is a computer code you can scan with most mobile devices. 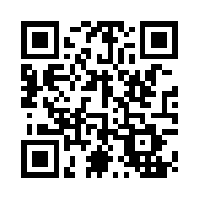 By scanning our QR code, you will be directed to our website where you can view and receive information in the palm of your hand. Simply scan the QR barcode with your mobile device by downloading a QR barcode reader application from your mobile device’s app store. Now you can access your community’s entire website in the palm of your hand. Get community news, make maintenance requests, or communicate with your community manager all from your mobile phone.